Hola once again from the RVCC Mexico Missions Team. The reason that I did submit a new chapter yesterday is because we had a very late night. 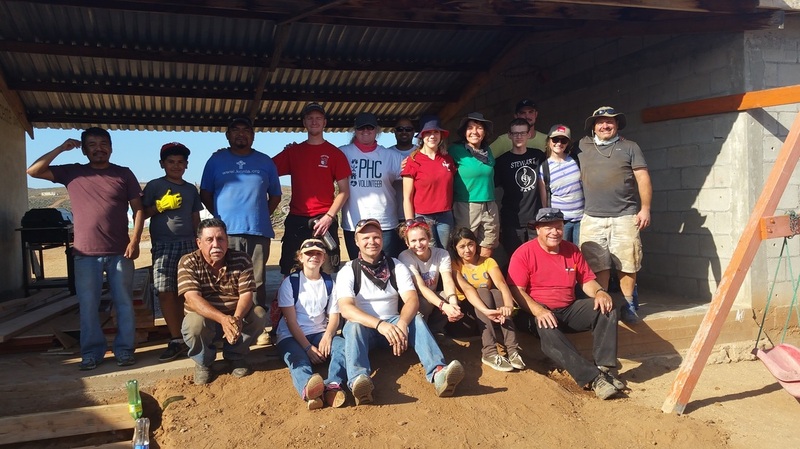 Yesterday, in San Vicente, we dug a trench at the Casa Del Pastor for the PVC pipe so we could run a wire for cameras underground, we finished putting insulation and drywall on the ceiling of one of the rooms. Up in Colonet, we worked on putting a roof over the entrance to the church. At the end of the day, we had a hot dog and chili feed with all the kids, and we handed out toohbrushes and toothpaste, as well as glow sticks. Handing out the glow sticks was very fun, and I was constantly surrounded by children asking for more. Seeing the smiles on the face of the little girls really lifted my spirits. Earlier in the day, I was just exhausted from the days work, and I wanted nothing more then to go back to the mission and to go to sleep, but when I saw the looks of delight on the faces of the little boys and girls when they got those glow sticks, it just made my day and all the hard work that I had done 100 % worth it. Today, the 30th, all of us were working at the Casa Del Pastor. 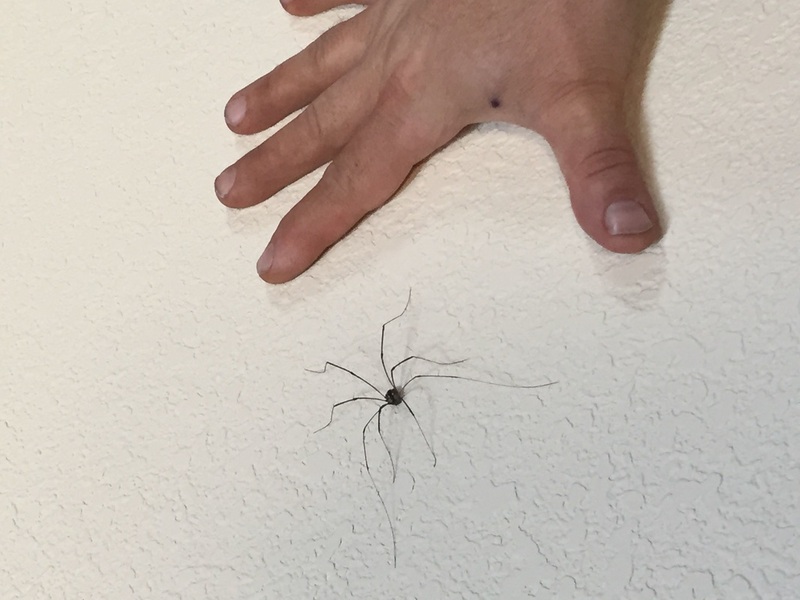 A lot of what we had to do was electrical work, running conduits all around the Casa so that we could run wire through them for security cameras. 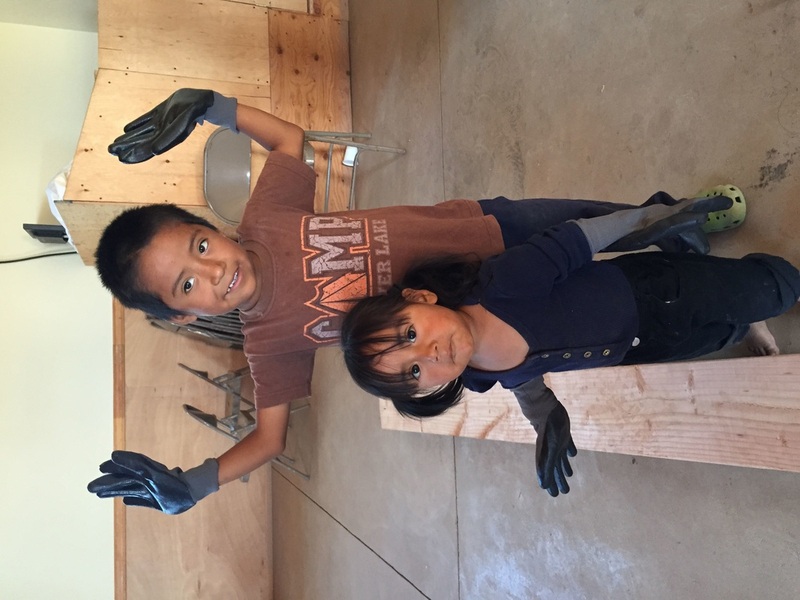 We were able to get a good amount of work done, as well as interact with some of the kids, which is always fun. Later in the day, a lady showed up and laid out a table at the entrance of the Casa, and was selling many different souvenirs, such as blankets and ponchos, ceramic animals, bracelets, necklaces, and so on. Lots of us got blankets and ponchos, and then we heard the testimony of two of the moms that live at the Casa. It always amazes me to hear how far that these women have come, and how the Lord has completely turned their lives around, taking them out of dangerous situations, and leading them into a better life. At the end of the day, they served us dinner( tostadas ) which were delicious, and later this evening we went to get tacos downtown, which , if possible, are even more delicious than last year. 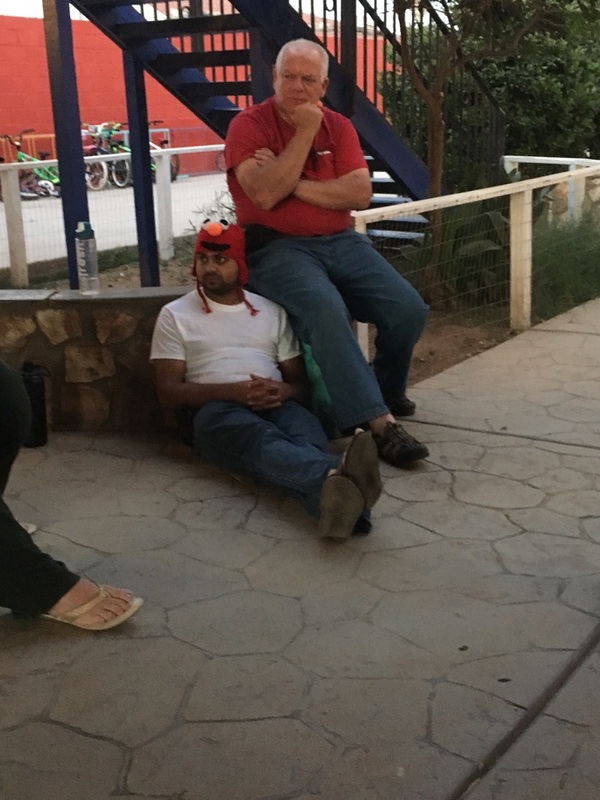 I am not sure what they were thinking so hard about. Hola once again from the RVCC Mexico Missions Team. Today, just like yesterday, our team was split up into different groups, some in San Vicente and some in Colonet. In Colonet at the church, we mixed a lot of concrete, and did electrical work in the church. There were some steps by the door to the church that we poured concrete for. In San Vicente at the Casa Del Pastor, ( the womens rehab center ), we worked on installing security cameras, and on putting insulation and drywall up on the ceiling in one of the rooms. While we were doing this, the mothers at the Casa were busy preparing cupcakes. To finish out the day, we had dinner at a persons house again. They served us tamales, horchatas, and beans and salad with noodles. After that, they served us neapolitan ice cream. Just like I said yesterday, one of the things that I find the most inspiring about these people is their hospitality. The loving spirit of God shines through the hospitality that these people show us. We are truly blessed to be around these people. These two kids are almost always around when we are at the church. Here Carly ( one of our team members ) is showing off her musical skill. Hola once again from the RVCC Mexico Missions Trip Team. Today a lot of the team spent most of their time at the church in Colonet doing various projects. One of these projects was the building another building next to the bathrooms, which will serve as a tool shed to start with, but will eventually become a bathroom. Will was working hard doing electrical work in the church, rewiring the security lights outside and the ceiling fans. All in all today, there was a total of 7 projects going on throughout the day. After we were done working at the church, we were served dinner by a family in Colonet. They served us soup with chicken, carrots, potatos, and gave us tortiallas to dip in it, along with hot sauce, and a drink called horchata, which is almond milk with cinnamon. Something that I would like to remark on is that before we got out, Debbie Williamson let us know that this family was poor, and yet they wanted to serve us. One of the things that inspires me the most about the way that these people live their lives is that even though they don't have very much, they are emphatic about sharing what they have with others. We tried to pay them for the ingredients for the dinner tonight, and they refused the money. Our hostesses name was Maria, and her daughter was walking around later in the evening showing us her two month old daughter. The woman in the red shirt holding the baby is our hostess, Maria. 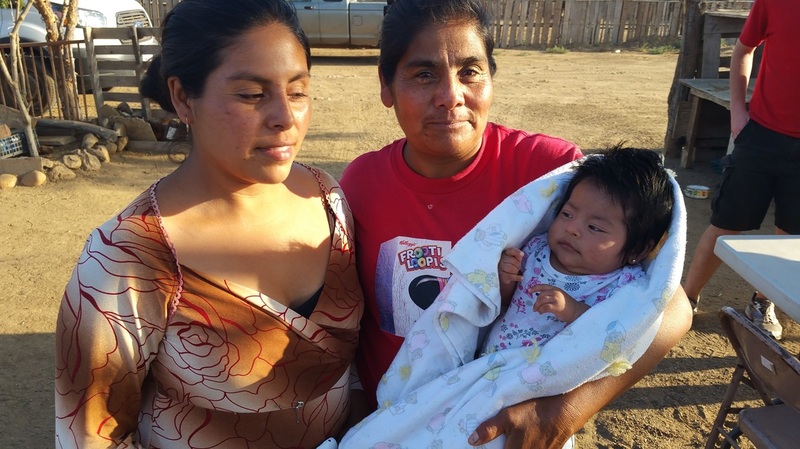 The baby's name is Evelyn, and her mother is on the left. All in all, it has been a fantastic day, and a fantastic trip so far. Stay tuned ! What do you think of the trip so far ? What are you hoping to get out of this trip ? Where did you feel like you served the greatest need today ? Bri said that "so far this trip has been amazing. Everything is so unique and beautiful in Mexico. In the U.S., there are so many false opinions of Mexico and the people of Mexico. So far I have really been able to notice these opinions and formulate my own which so far is very positive. I am so blessed to be experiencing this. " When asked what she was hoping to get out of this trip, she replied " I am really hoping to gain more knowledge of culture and to uplift my relationship with God." When asked where she felt she served the greatest need today, she replied " I feel as though I have served the greatest need by being present today and attempting to communicate and participating in church. It is truly amazing how music is a universal language. It was Mackenzie's turn next. When she was asked what she though of the trip so far, she said " so far this trip has been amazing. The way that everyone makes you feel right at home, as well as how people here have so little yet are always happy and smiling, yet in the U.S. people with very little are almost always upset and almost never smile. The landscape is so beautiful here, it just really makes you think about how much work and effort God put into the Earth. " When asked what she hoped to get out of the trip, she replied " I am really hoping to grow in my relationship with God, as well as everyone else on the trip, and I am excited to see how these people will change me instead of vice versa." When asked how she felt that she served the greatest need today, she replied, " I feel I served the greatest need today with the children. They try to understand us and help us understand them. Despite the language barrier they make you feel at home and appreciated. When Butch was asked what he thought of the trip so far, he said " This trip is a blessing to all involved. I really enjoyed getting to participate in mens devotional this morning, and getting to worship in Spanish ( a language I do not know ), and praise the same God who transcends language and culture. " 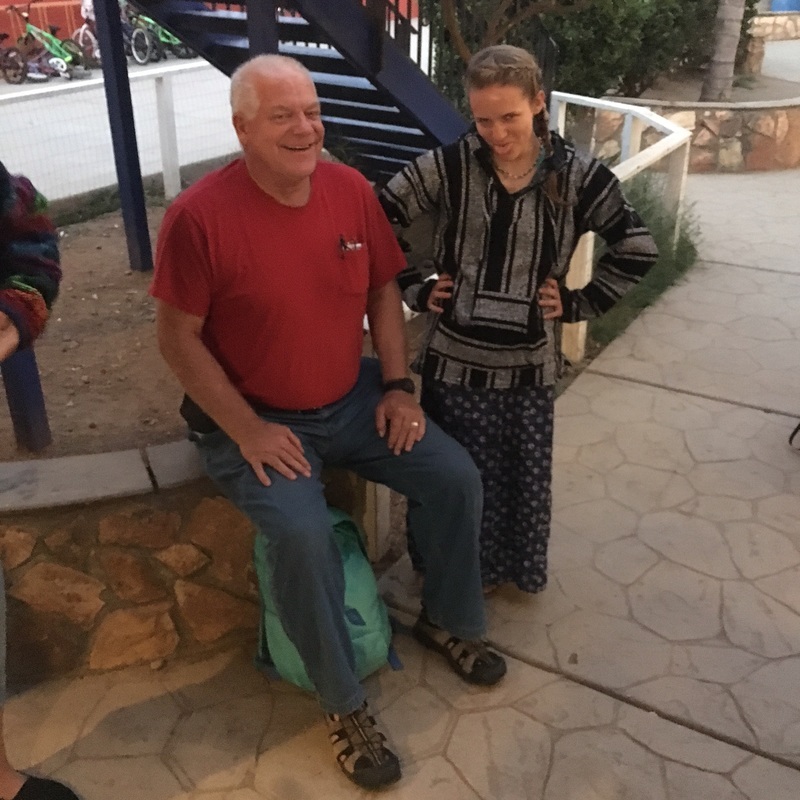 When asked what he hoped to get out of this trip, he said " Through this trip I hope to draw closer to God, my daughter and develop friendships with people I already worship with. " When asked where he felt that he served the greatest need today, he said that he felt he " served the greatest need today by being open to answering God's call to serve and allow myself to be served by others." 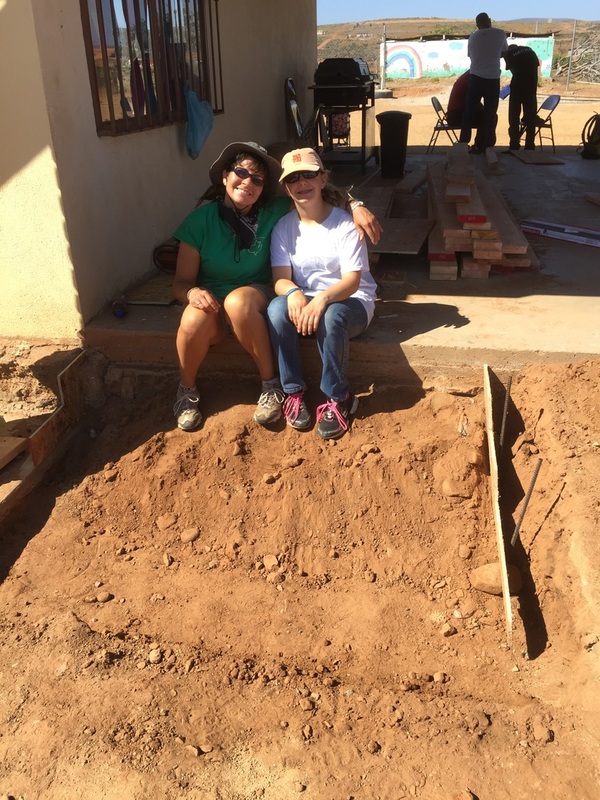 Hola, and welcome to the RVCC Mexico Missions Trip 2016 Blog! Its 9 days until we leave for the missions trip, so this post is just purely informational. I will make sure to update the blog daily to keep everybody informed about what is going on so far. As usual, prayers for effectiveness are appreciated. I am really excited for this missions trip, and cannot wait to see what God has in store for me and for everybody else involved. Stay tuned!